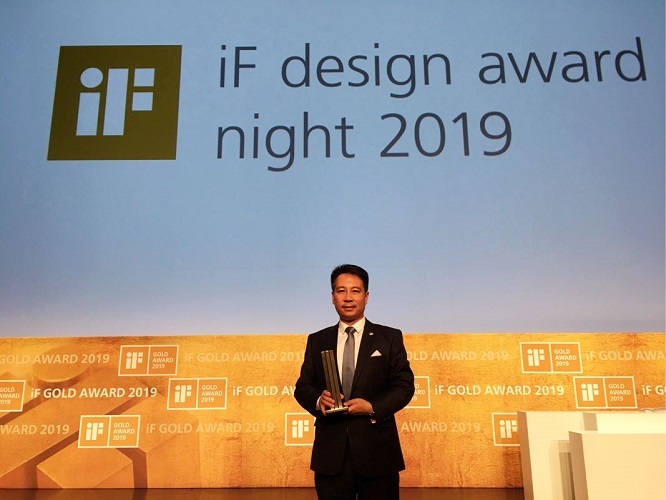 Hanergy’s four prize winners include one gold award: Single-Glass Triple-Arch HanTile, and another three Design Awards: Single-Glass Spool HanTile, Fold Backpack for Business Travel, and Solartank Thin-film Solar Power Backpack. HanTile is Hanergy’s rooftop solar solution while the solar backpack is Hanergy’s creation of integrating solar power generation with backpacks. Xie Tao, CEO of Hanergy’s Global Application Product R&D Center received the awards on behalf of Hanergy.